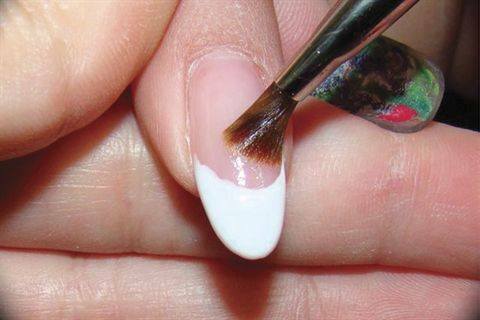 When it comes to that happiest part of the nail we all know and love, there’s no one right way to make it perfect. 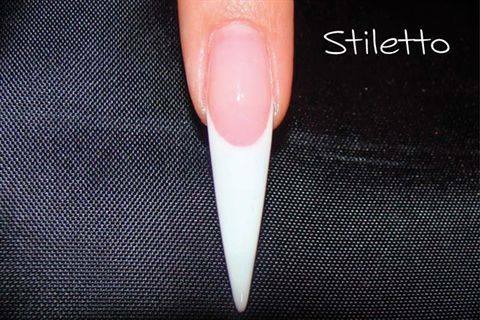 Smile lines can adapt to the nail to complement the shape and design of the nail. Akzentz educator Gina Silvestro of Gel Essentials in Cranston, R.I., shows her ideal smile lines for several different nail shapes. 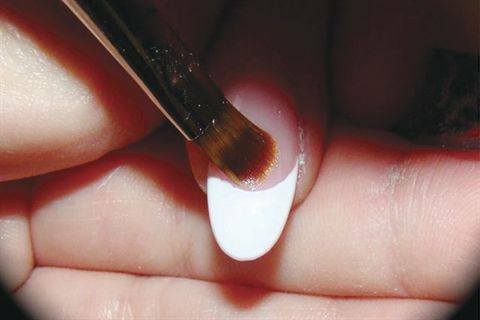 Begin by placing your brush in the center of the nail, lining up the side of the brush to where you want the center of the smile line to be. Keeping the brush handle in place, slowly twist the brush to bring the edge of the bristles up to the side in one slow controlled motion. Place the brush in the opposite direction in the center, once again lining up the edge to the center of the smile line. Repeat the twist up to the other side. Be sure to use the edge of the brush for a crisp line, if you use the tip it may fan out and the bristles will cause a feathery, blurry look. 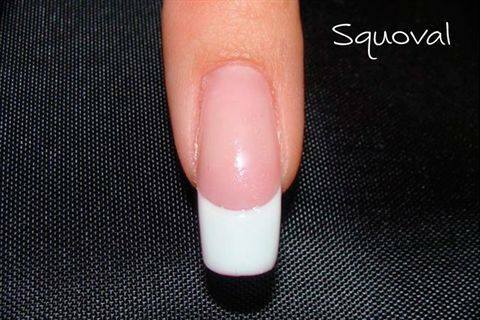 The smile line for a square nail can vary. Some ­people prefer a very deep smile line while others like it very flat. 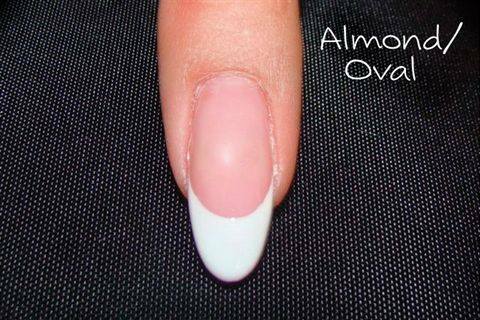 I usually create a moderate smile line that mirrors the shape at the cuticle area. 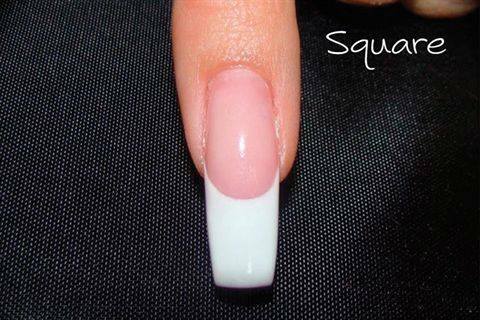 For a squoval nail the smile line can be less ­dramatic and mirror the shape of the tip. An almond/oval shape looks best with a deep smile line. 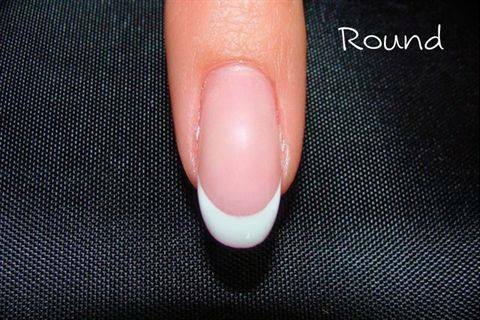 For round nails I prefer a more discreet French look, keeping the white thinner and following the shape of the tip.